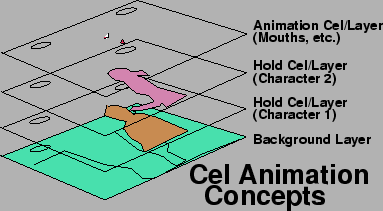 This chapter explained the history of animation by detailing the past inventions that allowed animation to be perceived by the human eye. I took personal interest in this chapter as I find these devices captivating. I have always believed that understanding the rudimentary/initial process equates into a better understanding. To be good at anything: Understand the basics. As such I designed my own thaumatrope here. Elements moved across a stage, or lit from behind to create the illusion of depth (a popular parlour game in France). A slideshow of hand-painted or photographic glass slides that projected images with fire and gears (1600 scientific experimentation). 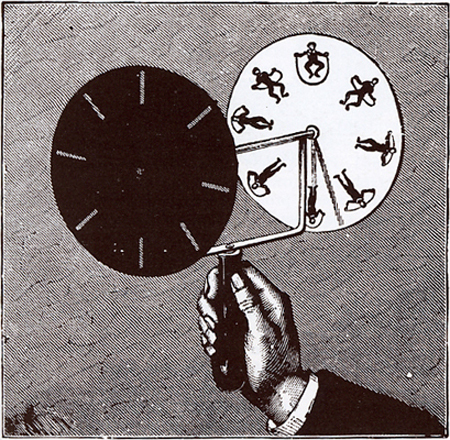 A small paper disc attached with two strings that when pulled in opposing directions spun quickly and gave the illusion of merging the images (popular in Europe in the 1820s). 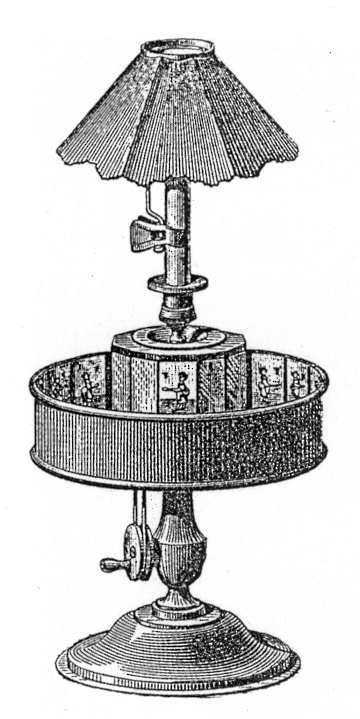 A spinning circle with images on both sides, seen with vertical slots and a mirror (introduced in 1832 in 2 parts of the world). Images lined the inner walls of an exterior cylinder and reflected by mirrors on the outer wall (overcame picture distortion, precursor to film projector). Can project up to 200 images on a screen (1879). Eadward Muybridge accomplished 100,000 studies of animal and human movement using his Zoopraxiscopic discs. A 14 cm wheel that held a series of pictures, the wheel was rotated by a handle and contained long sequences of images (1894 coin-operated kinetrope parlors existed in New York City, London & Paris). transluscent sheets of celluloid for overlaying images (1910). drawing frames by tracing over previously filmed live action footage (1917). A live action background was filmed then presented 1 frame at a time reflected off a piece of glass that contained an animated character. 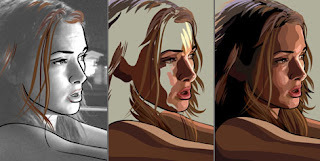 Frame-by-Frame animation using paper cut-outs and tin-foil. Shows correlation between music and painting, took 4 years to complete. Fragments of reflective, metal machinery, disembodied parts of figures, and camera reflections used to combine the energy of machine to the elegance of ballet. Used film effects to manipulate images in the motion to do surreal things never seen before (flying hats, inverting, walking behinf poles and disappearing, body parts cutting away, objects appearing and disappearing). Early form of abstract film, black and white, then tinted, which explored the interaction of geometric forms. Life in Berlin in the 1920’s, which looks at movement within the city.